One day right before the new millennium, some of our culturally creative citizenry were hanging out at Starbelly Beach, twiddling their toes in the water and basking in the sun, wondering what they could do to liven things up around here and celebrate how wonderful it all was. It must have been an idea whose time had come, because one thing led to another and before anyone realized what was happening, Starbelly Jam Music Festival was born! It was a good thing those original dreamers had spent so much time in the sun and didn’t know just how much work it was going to be, or it might not have ever happened! It took a dedicated core group of organizers, a small army of volunteers and a mountain of materials to pull it off — but when it was done everyone knew something very, very special had happened. Starbelly Jam continues to be put on by a community-minded group of volunteers, from the tireless core committee to the many other local people who freely give their time and expertise to make this THE cultural event of the year for the East Shore. This is our big chance to throw a party we’ll all talk about for years, and our chance to invite some great musicians and entertainers to visit us, instead of us having to go elsewhere to see them! And, of course, to have you and all the other exuberant and appreciative aficionados of music and fun join in from all around the Kootenays and beyond to make it perfect. A huge thank-you to everyone who has helped make the festival happen over the years! Starbelly Jam is a special festival; great entertainment, great food, great people, lots of happy kids and room to play — we’ve deliberately steered the festival away from getting too big or becoming too crowded; this festival’s success is all about the celebration of life though music, friendship and having a fun time for all in a safe and secure environment. Not too big and not too small, this is a “just right” festival Goldilocks couldn’t help but love. To our new friends and old: we hope you will join us this year! Many thanks to our sponsors, who make Starbelly Jam possible. A Huge Thank-You! 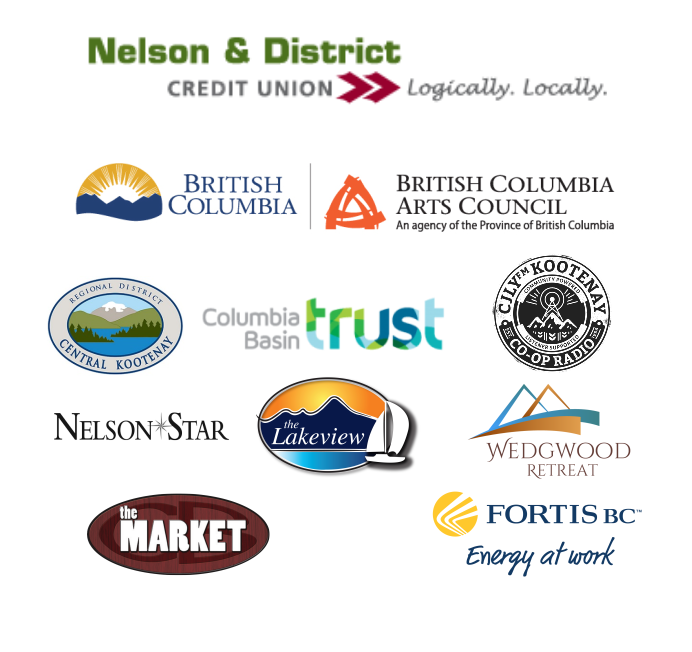 to the Nelson & District Credit Union , who have consistently supported Starbelly Jam since day one, and were instrumental in getting us off and running! Regional District of Central Kootenay.